See the section >> Treatment << for updates. 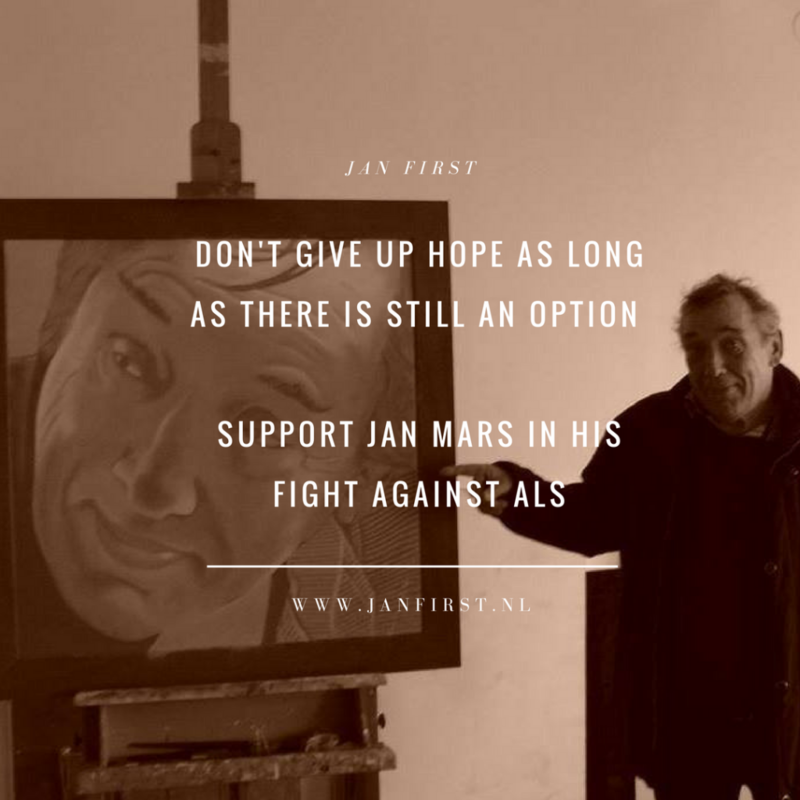 This site was set up with the intention of raising funds for the medical treatment of Jan Mars, who suffers from a form of the disease known as ALS. Further details of his illness can be found elsewhere on the site. As there is currently insufficient medical and scientific proof of the efficacy of the proposed treatment, most of the costs are not covered byJan’s medical insurance. And as Jan himself did not have the resources either, his family and friends decided to launch this appeal. The ALS centre in Utrecht started in december 2017 a study into the treatment with 16 patients. Unfortunately, Jan did not meet the criteria for participation in this study, particularly with regard to lung function. The name JANFIRST was basically chosen because this particular fundraising appeal was all about Jan. The treatment consisted of four courses of 21 days in one year (see Treatment). The intention was that Jan could be “great again” for a while. And that worked out quite well! In any case, the reduction of symptoms has led to a considerable improvement in the quality of life during the treatment. Read in the section Treatment how Jan is doing.